Within Washington University School of Medicine’s Department of Head and Neck Oncologic Surgery, and in cooperation with Dr. Jose P. Zevallos, Associate Professor, Otolaryngology, GeneCentric has a core collaboration in the area of Head and Neck Cancer Research. As Head and Neck Surgery Division Chief for Head & Neck Oncologic Surgery, Dr. Zevallos leads research in head and neck squamous cell carcinoma, HPV-positive and HPV-negative head and neck cancer as well as other related tumor types. In working with Dr. Zevallos, GeneCentric is working in support of prospective clinical research related to head and neck squamous cell cancer. More information on Dr. Zevallos’ work is at: https://siteman.wustl.edu/doctor/zevallos-jose-p/. 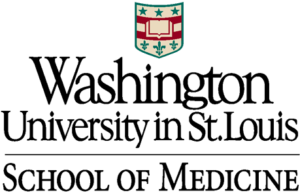 More information on Washington University School of Medicine is available at: https://medicine.wustl.edu.